SYNOPSIS In a remote back country near the Mexican border, Andreas Delmorales, young and disadvantaged, uncovers a terrible crime. Instead of the prompt justice he anticipates, bringing this tragedy to the attention of the law leads to Andreas becoming a pawn in the political schemes of a corrupt and ambitious lawman. 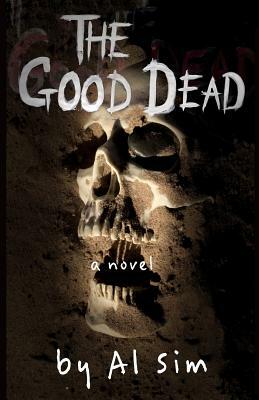 THE GOOD DEAD follows Andreas into prison and out again, in pursuit of the man who committed the crime he was convicted of, then after the lawman who framed him. When events overwhelm his careful preparations for revenge, he must escape powerful forces operating on both sides of the law. Fleeing with him are Esperanza Armijo, the niece of the man who framed Andreas, and Matthew Walker, a refugee from the collapse of the American middle class. Three lives driven by loss onto paths that converge in the borderlands. When fate throws them together what they have already lost becomes irrelevant. What they could lose next is all that matters. ABOUT THE AUTHOR Thirty-one of Al Sim's short stories have been accepted for publication by journals including The Greensboro Review, The Literary Review, Fourteen Hills, Terrain.org, and Blackbird. The editors at Glimmer Train published "Soledad" and "Get the Can"; gave the latter their Very Short Fiction Award; made him a finalist in three of their competitions; and gave him honorable mention in a fourth. Al Sim has been nominated for a Pushcart by the editors at Press 53. They also published his collection STORIES IN THE OLD STYLE. And he has been a finalist for a Fiction Fellowship from the Virginia Commission for the Arts, and was a finalist for the SFWP Literary Awards from the Santa Fe Writers Project. A collection of stories called THE DESERT AT NIGHT was a finalist for the 2010 Prairie Schooner Book Prize in Fiction.